Other new hospital buildings recently constructed at Mona Vale Hospital include the Community Health Service Building in 2016, the Beachside Rehabilitation Unit in 2014 and the expansion of the Palliative Care Outpatient Unit in 2013. “It’s great to see work commence on the next phase of modern hospital buildings,” Rob Stokes said today. “There’s a flurry of construction activity underway and we’ll soon see the next new hospital buildings start to emerge. “Over recent years the hospital campus has seen an ongoing renewal to ensure future services can be provided to patients in modern, state-of-the-art buildings. “Mona Vale Hospital will work in very close cooperation with the new Northern Beaches Hospital to provide our community with more health services than have ever been available locally. 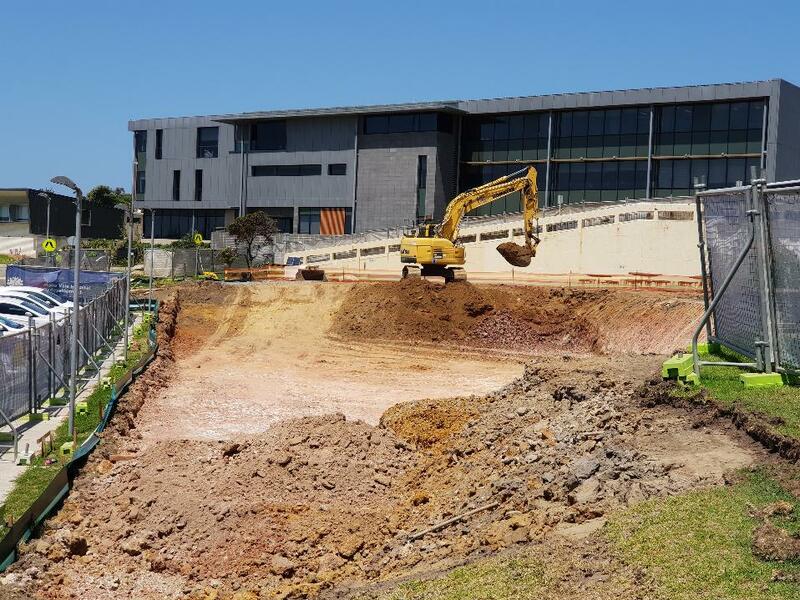 “For the first time in decades there’s millions of dollars being invested in major infrastructure improvements at Mona Vale Hospital and it’s exciting to see this continuing and our modern hospital campus taking shape,” Rob Stokes said. Medical services at Mona Vale Hospital are continuing to be provided by NSW Health and the entire Mona Vale Hospital campus remains in public ownership.